MATE is the desktop I switched to pre-release of GNOME3 and have been very happy with for all the intervening years. It Just Works and integrates the best compositor X11 ever had, Compiz, flawlessly. Ubuntu 10.10 was probably the best release of any Linux distro ever, and the GNOME2/Compiz combo was a big part of the reason why. Sri Ramkrishna, I’ve read your G+ postings on this theme (https://plus.google.com/115250422803614415116/posts/KygiWsQc4Wm), and I have to ask you what you think such a merge would actually achieve. It seems to me that people who are happy with current GNOME shell have a desktop for them, and people like me who prefer something else have a desktop for ourselves. I can tell you why I prefer the current arrangement. I feel having the GNOME Design team re-work MATE would be both undesirable and redundant. When everyone is on the same base then the shared components will be more robust since there will be more than one desktop using them. 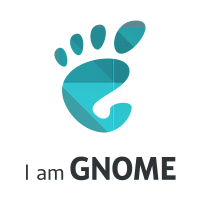 It was a long standing complaint that GTK+ and others have been a GNOME only playground. By having one on GTK+, we can get everyone involved in GTK+ development. We will also have more pieces to create new desktops on the fly using GNOME technologies. While you might not like the GNOME design, there is still plenty of others to pick from. You could look at it as GNOME being the reference design that shows how things can be done.